The injured patients were treated and transported to nearby hospitals for further treatment. Five people were injured on Wednesday when a light motor vehicle rear-ended a taxi on the N2 Southbound in Amanzimtoti, KwaZulu-Natal, paramedics said. According to a statement, ER24 paramedics arrived on the scene on Wednesday morning to find both the taxi and the light motor vehicle in the left-hand lane of the road. “Several passengers from the taxi were found walking around on the scene. Paramedics assessed the patients and found that five had sustained minor to moderate injuries,” ER24 spokesperson Russel Meiring said. The patients were treated for their injuries and transported to nearby hospitals for further treatment. The remaining patients declined treatment and were later picked up by another taxi. 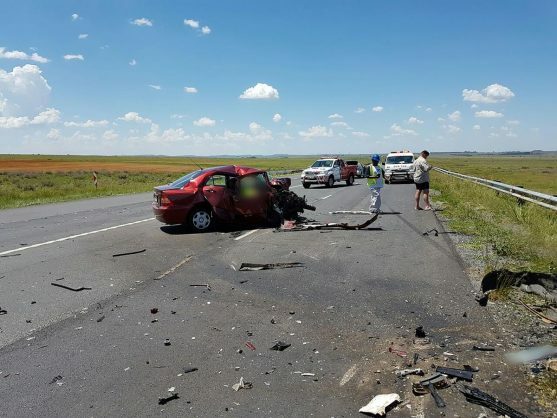 “The exact cause of the collision is not yet known but local authorities were on the scene for further investigations,” said Meiring.